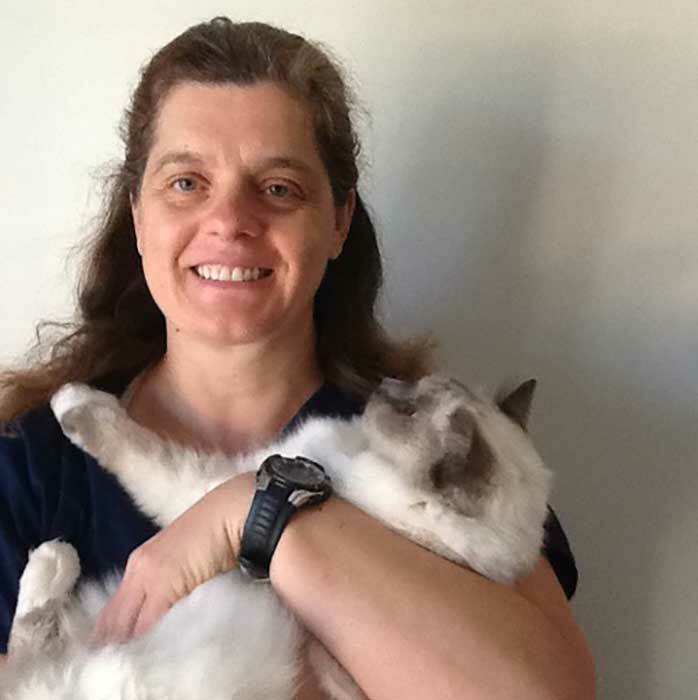 Laura graduated from Glasgow University in 1995 and worked in the UK in mixed and small animal practice. In 2005 she moved to the warmer climate of Perth with her hound and elderly cat and continued working in small animal practice. She started working at Kingsway in 2008 and is still here! Laura enjoys working in a small friendly practice where she can build relationships with her patients and follow their progress through the years. She likes the challenge of trying to ensure the patients enjoy rather than endure their visits. In her spare time she is at the beck and call of her son and 2 rescue cats and is tolerated by her parents Birman cat. She is currently attempting to learn Mandarin.